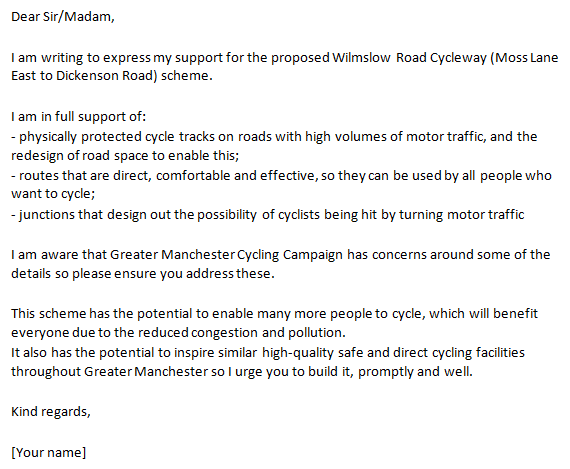 Please enter your name and email address into the form below to send a response to Manchester City Council for the Wilmslow Road Cycleway (Moss Lane East to Dickenson Road) proposals. You will be sent a link to confirm your email address. If you wish, you may edit the default text; please do if there’s anything you’d like to alter or add.